Village of East Hills > Headline News > East Hills > Another Senior Smash Success! The Senior Activities Committee can take credit for another great success. 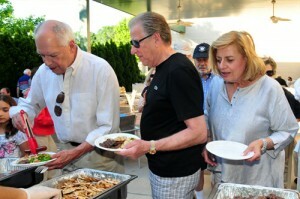 On Wednesday, June 24th, a friendly, extensive barbeque was held at the Grille. 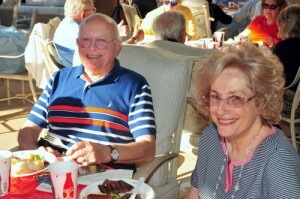 The buffet was a cornucopia of delicacies from steak to more staple items like hotdogs and hamburgers. “The food was delicious” commented many board members who attended to show their support. “La Bottega outdid themselves” said Mayor Koblenz. Throughout the early evening, Stanley Stern, Chair, met guests with a warm smile and welcomed each of them. Barbara Klein spoke and announced a special impersonator would cap off the evening. Dr. Sandy Klein took photos of the event, and graciously contributed his time and talents.